I hope everybody is enjoying the best time of the year in US. I love the way Christmas is celebrated here. All the neighborhoods are so well decorated with lights and Christmas trees. People are visiting friends’ or relative’s places with pack of gifts. Kids are taking snaps with Santa Claus and waiting for surprise gifts from their parents! And last but not the least is Christmas Special Cakes are being made at every home. Today I will share the recipe of Light Fruit Cake that I am baking on Christmas Day for last couple of years. From the start of this month, I received many requests from my friends to upload this recipe. Though I was busy planning for a short trip to spend some quality time with family, I made this cake in hurry on their request. 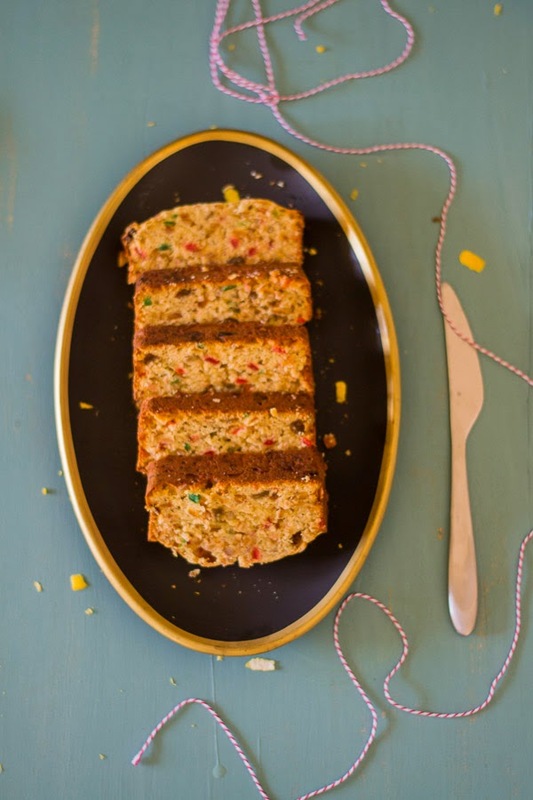 This is the easiest fruit cake, a perfect recipe for the beginners. It is light and free of alcohol. This is not the proper British Fruit Cake but easily can compete with the same in taste. 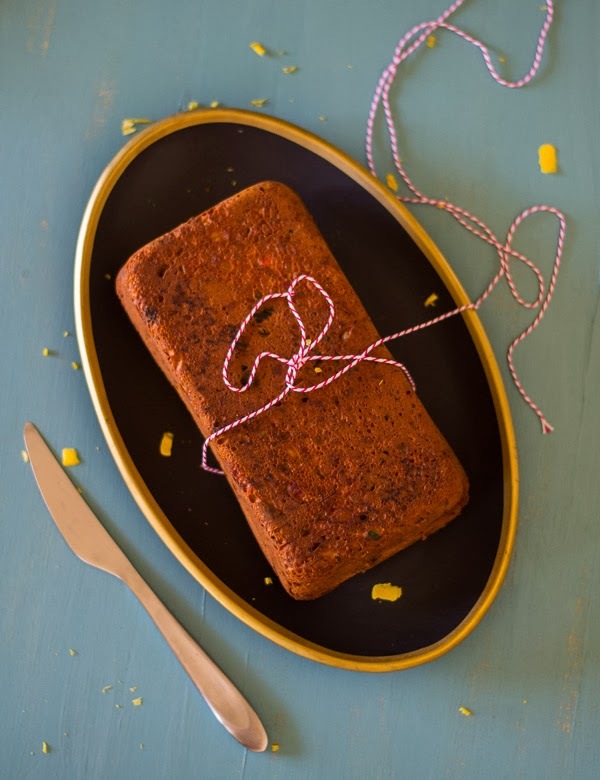 This Light Fruit Cake is the combination of candied mixed peel and candied cherries. 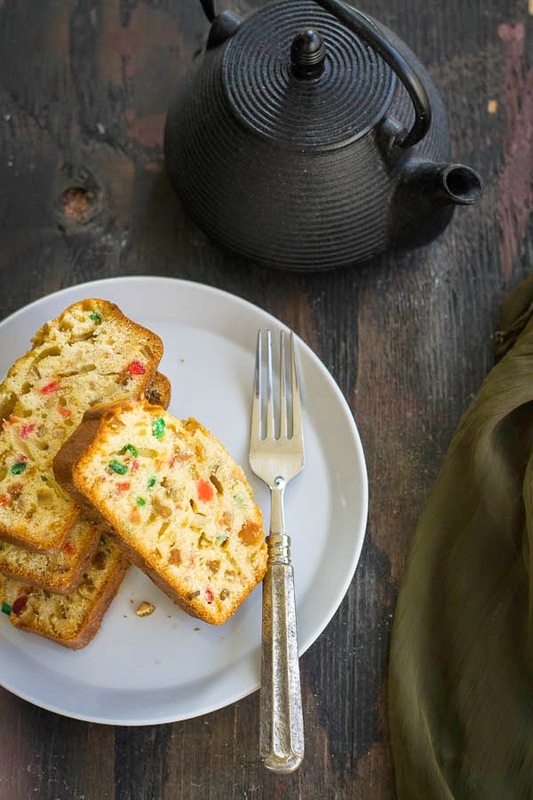 The best part is that it has lots of candied fruits and delicate almond flavor. And good thing is that, you do not have to wait to enjoy this Christmas Cake, as it can be eaten the same day it is baked! 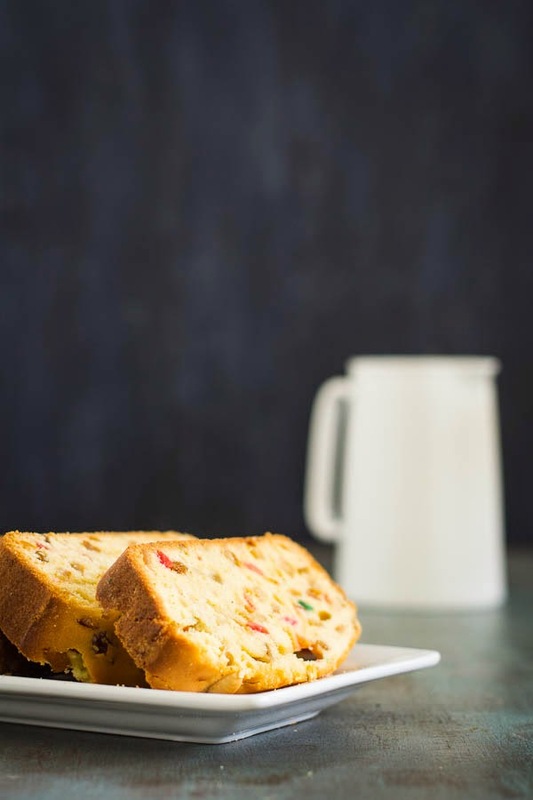 If you like your fruit cakes to have a boozy flavor, you can mix the candied fruit and raisins with a little alcohol and let it soak for a day or two. In that case, rum, brandy or sherry is the good option in alcohol. You need to soak it at least for one day and give stirs a few times during the day. Ground Almonds are used in the cake batter. It’s not necessary to buy it from stores because you can make your own at home by grinding blanched almonds or natural almonds. If you like dried fruits, you can add them more instead of candied fruit and raisins by reducing candied fruits. 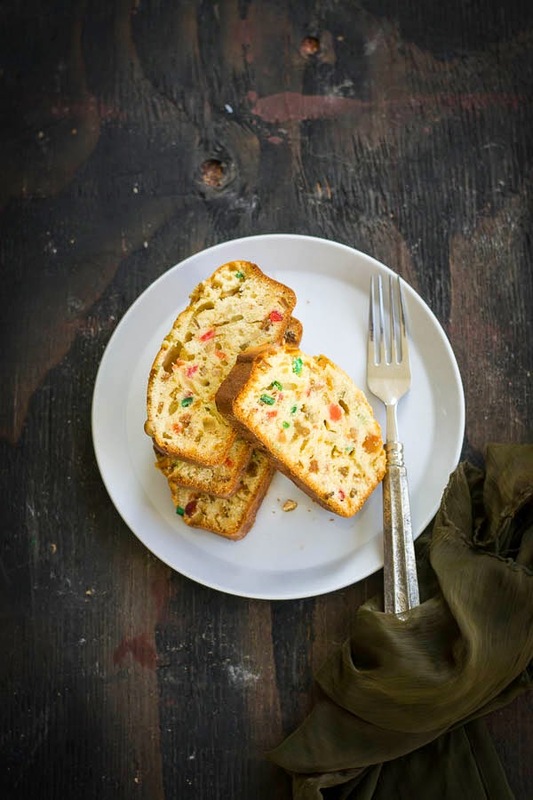 Since this Fruit Cake is so easy to make and needs only few ingredients, you don’t need to wait for special festival like Christmas, rather you can make them throughout the year. When you have guests at home, they will love it along with tea or coffee. One last thing to note that though you can serve the cake on the same day it is baked, it would be better to store it for a day or two before serving. Because it helps to mingle the flavors. 1. Preheat Oven to 350 degrees F or 180 degrees C and place the oven rack in the center of the oven. 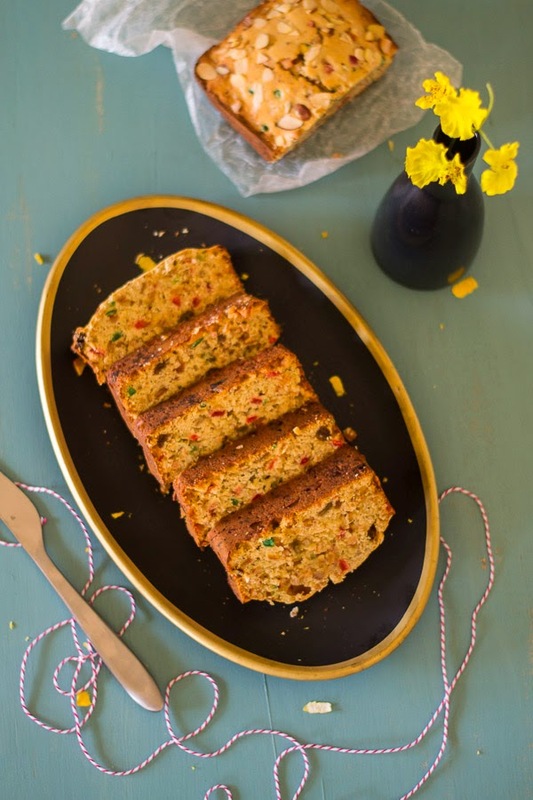 Butter or spray a 9 by 5 by 3 inch loaf pan with a nonstick vegetable spray. 2. In a mixing bowl, mix the flour, ground almonds, baking powder, salt and lemon zest together. Set it aside. 3. In the bowl of your electric mixer or with a hand mixer beat the butter and sugar until it is fluffy. Add the eggs, one at a time and beat well. Scrape down the sides of the bowl if needed. 4. Add the vanilla extract, add the candied fruit, dried fruits and mixed peel (optional). Beat them nicely until they are well combined. 5. Add half of the flour mixture to the bowl and beat until incorporated. Add the milk and the remaining flour mixture and mix again it well. 6. Pour the batter evenly into the prepared pan and decorate the top with almonds. Bake for about 60 to 80 minutes or until a toothpick inserted into the center of the cake comes out clean. 7. Remove from the oven and let it cool down on a wire rack. Once it is at room temperature remove from it from the pan and cut it into pieces. 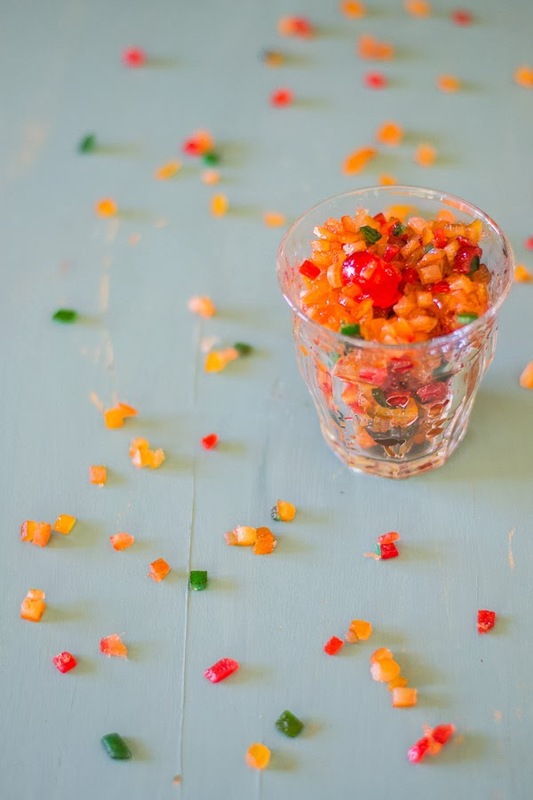 If you like your fruit cakes to have a boozy flavor, you can mix the candied fruit and raisins with a little alcohol and let it soak for a day or two and give stirs a few time during the day. You can serve the cake the day it is baked, better it is stored a day or two before serving, it helps to mingle the flavors. You can cover and store this cake for about one week at room temperature. Wow it was very delicious and amazing for us. Good tips are given in this article which make it easy also.